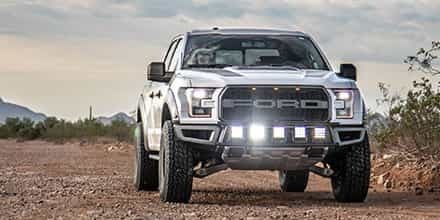 Getting your F150's stance tuned just to your liking can be a bit hit-or-miss, given how much certain spacer or coilover kits lift your front end. 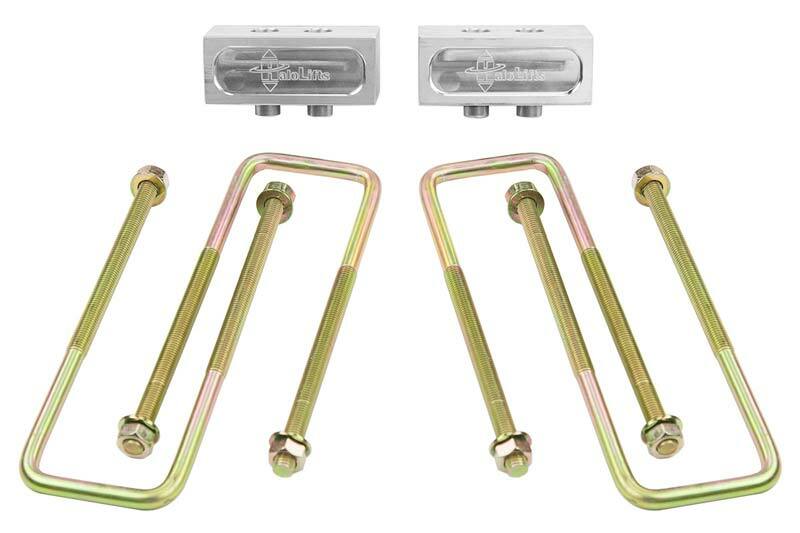 If you just want a smidge of extra ride height for your F150's rear end to try to get a perfectly leveled stance or to help you tow, then this rear block kit from Halo Lifts is the way to go. 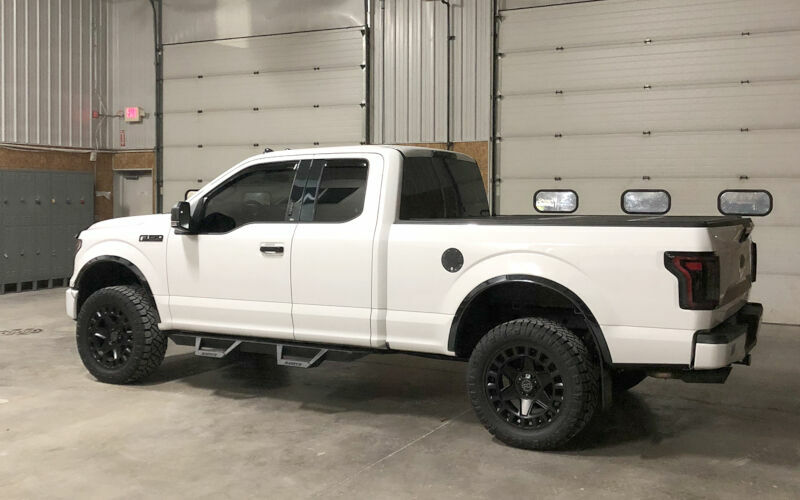 The kit gives you options for 2", 2.25" and 2.5" rear blocks which provide very slight gains in rear lift to help adjust for front leveling kits that may have given your 2009-2019 F150 a little too much height on its front end. The Halo Lifts F150 rear block easily installs in place of your factory rear blocks and comes with new U-bolts and U-bolt nuts. 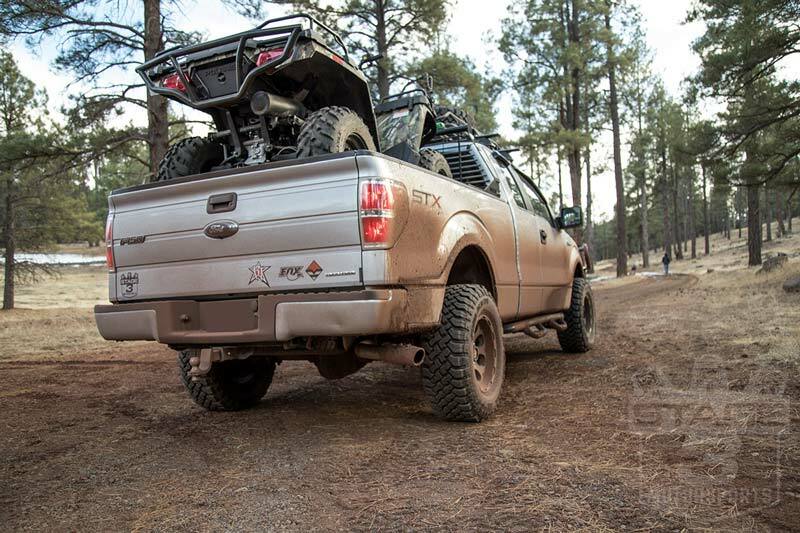 F150lift's blocks are all under 3", which makes them perfect for small adjustments to rear height and helps keep drivability issues to an absolute minimum. 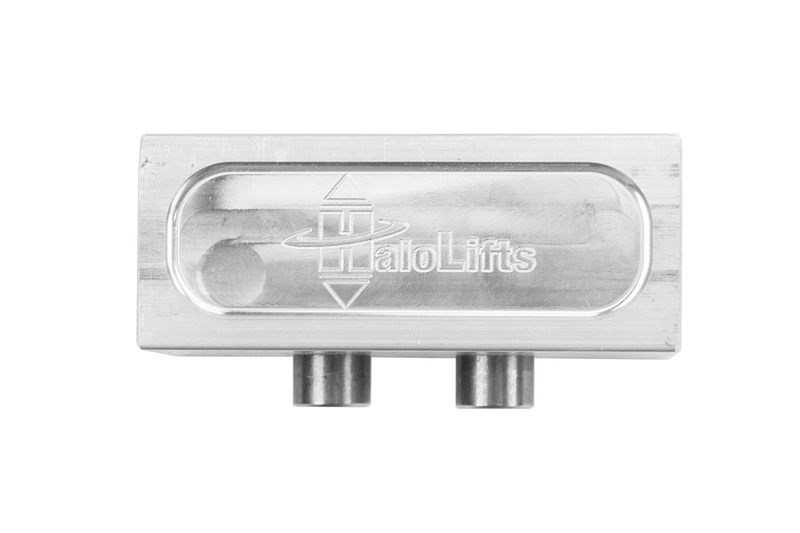 The blocks are each manufactured out of CNC machined 6061 billet aluminum which gives them excellent strength and corrosion resistance. 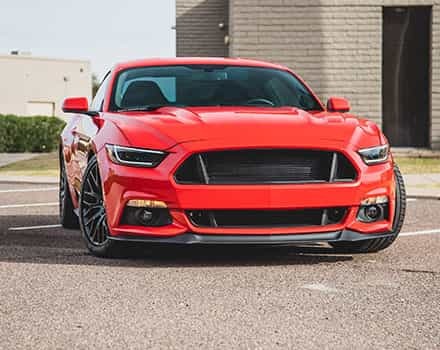 The blocks drop right into place of your F150's factory rear blocks and come standard with 1/2" diameter, grade 8 U-bolts that hold them in place even in extremely powerful F150s throwing down a ton of extra horsepower and torque. These blocks did exactly what I wanted them for. With a set of Bilstein 5100's on the highest setting, they give me some rise from level in the rear. Myntruck has almost a factory stance, lifted 2. The blocks are almost too pretty to hide under the truck. I do have one complaint; the new U bolts came with standard nuts. I prefer ny-lock nuts, and had to go get them. That's the only thing that kept me from giving this 5 stars. Great kit with quality parts. As stated in another review that they ought to include poly lock nuts or lock washers were included. Would give 5* review if had lock nuts or washers for the paid. 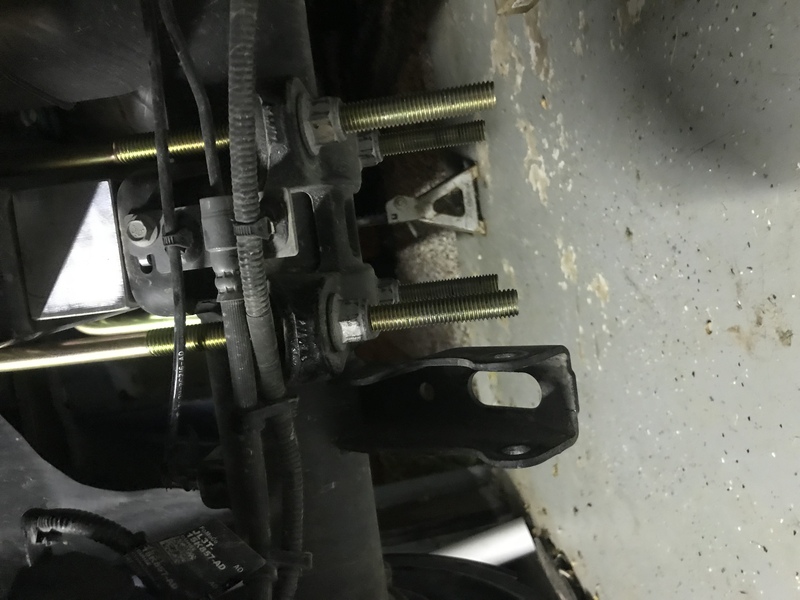 The blocks installed by a local shop with the 5100 leveling shocks. The 2.5inch block perfect with the 5100 rear shocks adding an inch of lift. 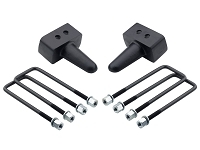 The 5100 front shocks set at 1.5 inch setting keeping truck close to the factory rake. Shop used the nuts that came with the set, they said that the nuts are standard and do not need to have lock nuts. As stated by the other reviews, the blocks do what is expected. The billet design is beautiful. The hardware does need updated to lock nuts or at least washers. I was having warranty work done at Ford and had them throw these on while it was in the air. The lack of printed instructions had the tech install these on TOP of the stock blocks and not as a replacement for them. While videos are nice, it seems like any product should have some sort of paper instruction in the packaging. Very happy with the product. Installed extremely easily. Halo lifts turned out to be local and they actually called me and said I could pick up my order. Great product, fast delivery, and easy install. Install took about a hour even with air bag helper springs. Blocks look great and appear to be great quality. U bolts are way to long, will have to cut before I can even mount the shocks back. Also did not come with lock washers or nylon nuts, had to rescue factory nuts. Well built and nice quality. Only issues were that block pins seemed almost too long and almost touched the axle tube. The ubolts were also too long and hang down several inches further than what I would like. I may cut them. Over than that. They look great and gave me the exact rake I wanted with my fox coilovers up front. with this block, if I bought the 2.5inch block would that give my 4wd truck 1inch of lift? or is these blocks suppose to be used with factory blocks? You're correct. These blocks require the removal of your factory block, and you'd end up with a net gain of an inch of rear lift once everything was said and done. Was this answer helpful? 15 of 15 Found Helpful. Since they require the removal of your factory 1.5" rear block, you'd end up with about 3/4" of rear lift, if you used the the 2.25" block option. 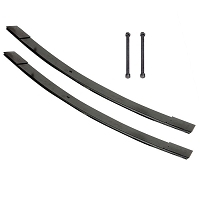 I have a 2016 f150 157" wheelbase with the 2 piece driveshaft. I want to add a 2.5" block in the rear. Do i need a shim or spacer for the carrier bearing? Or a tapered block? Or can i just do a straight block with no ill effects? In general, you will not need shims or a bracket to correct your pinion angle on trucks with a two-piece driveshaft. You have to keep in mind that a 2.5" block is only adding 1" of actual lift, which generally isn't enough to cause issues. Even up to a 3" block usually isn't a problem. When you start getting into the 4" block range, like those found on full suspension lift kits, you'd require a carrier bearing drop. Can i run these (2.5") with stock shocks in the rear, and after installing these I would not need an alignment would I? I currently have the Bilsteins up front set to the top setting, love them! 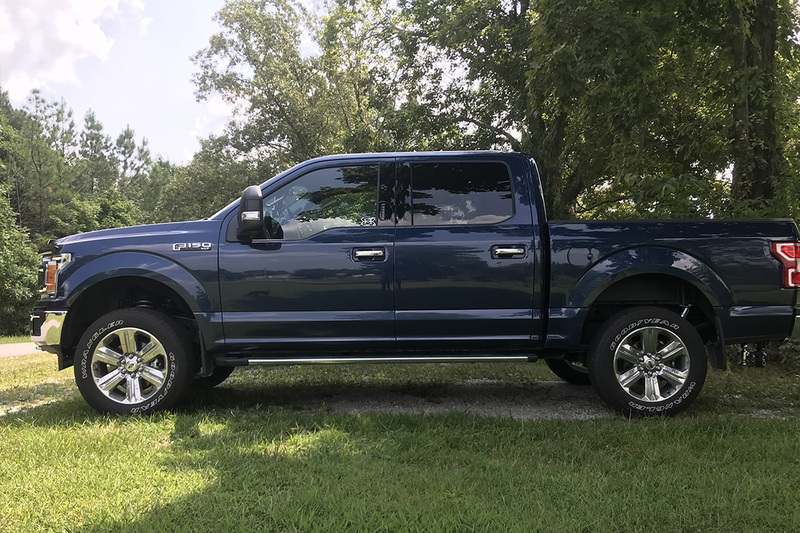 2013 F150ecoboost XLT 4x4 S.screw Thanks! 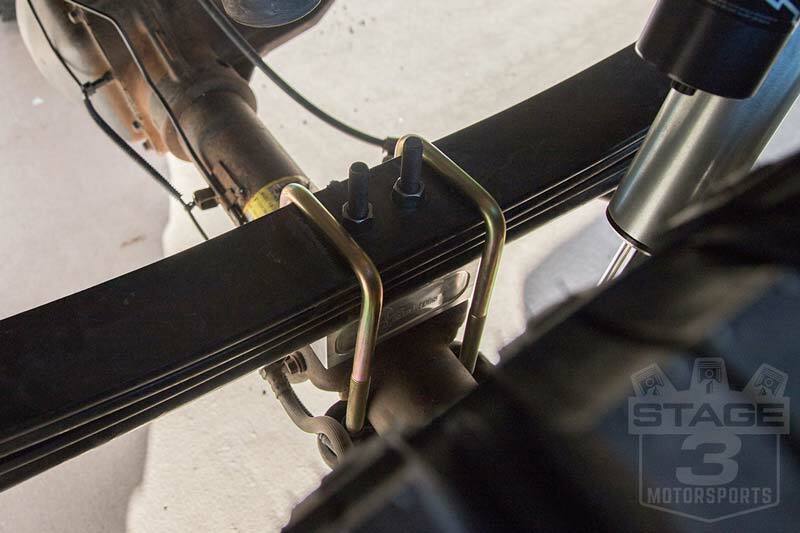 You can use these rear blocks with the factory shocks as long as you're not using your truck off-road or doing anything that requires full suspension articulation. Aftermarket shocks are still recommended. An alignment is also recommended, though really only required if you notice the truck handling erratically or getting abnormal tire wear. 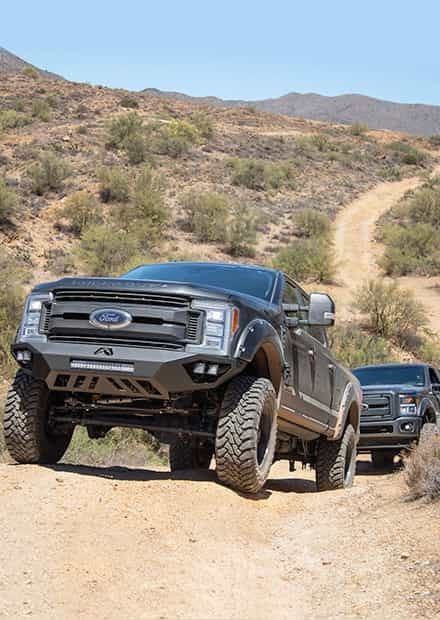 The 2" to 2.5" height refers to the size of the block, so you can get a net gain in lift of .75" to 1.25" on 4WD F150s, as F150Lifts' blocks replace your factory rear block. 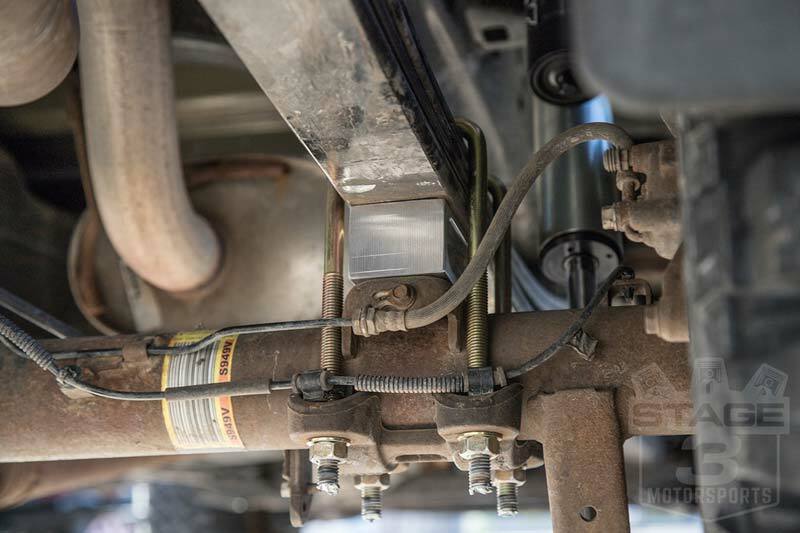 In general, the factory rear shocks can handle up to a 3" rear block, though you may want to consider upgrading if you hit trails or fully articulate the rear of your truck, as the stock shocks will wear very quickly. Hello. 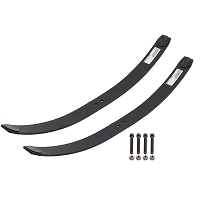 I bought an Icon stage 1 kit ( front coil over and rear shocks). Front sitting higher than rear and trying to get level. Looking for thoughts about a 2, 2.25 or 2.5 block?? I know the factory is 1.5, just not sure which would be best. Thank you ! It really just depends on how much rear rake you have from the ICONs. 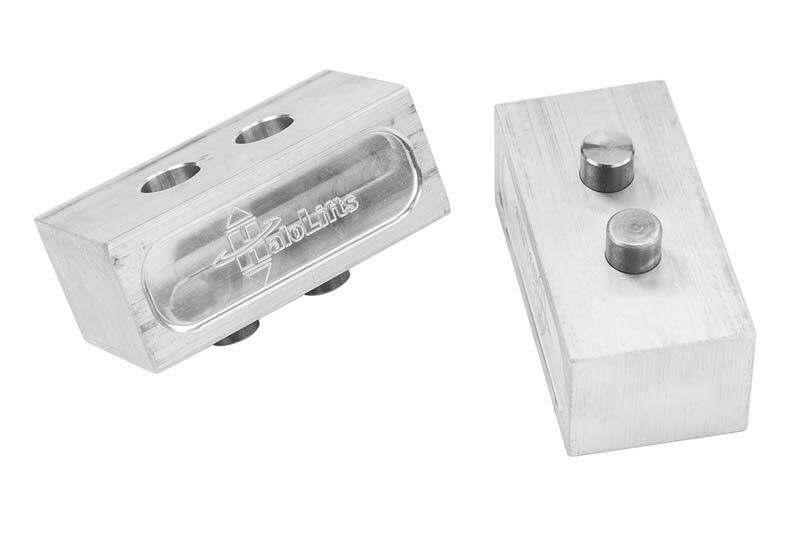 Keep in mind that these blocks replace your stock block, so you're getting a net gain in ride height. So the 2" block will actually give you .5" of lift, the 2.25" block will give you .75" of lift, and the 2.50" block will give you a full 1" of lift. 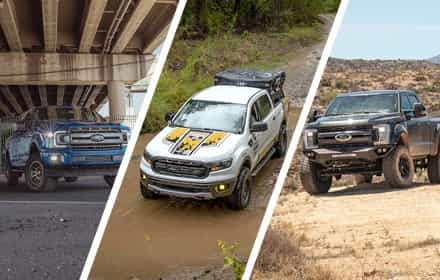 If you installed those ICON coilovers out of the box, they'll be set at around 2.75" of front lift, and in general, F150Lift's 2" block will get you back a fairly level stance. How tight should the nuts be torqued? 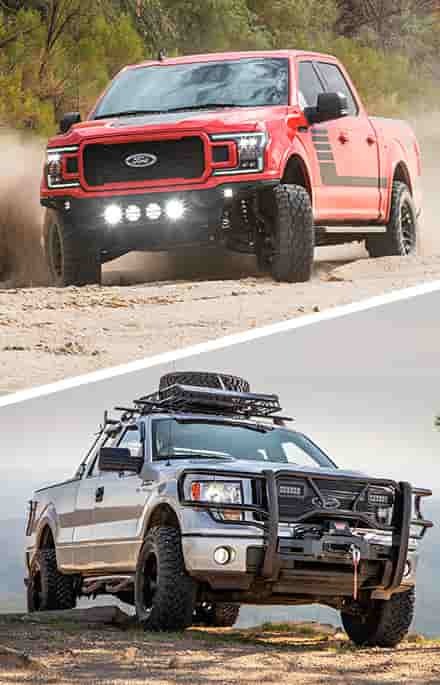 According to F150Lifts, you tighten them down to factory torque specs, which actually vary a bit by model year and drivetrain. I have 2013 F150 Lariat Supercrew 4wd. Installed icon stage 1 kit - front coilover and rear shocks. Height in front is stock from box - want a rear block to level, thinking 2" would be good Got under truck and stock block is 1.25 not 1.5 as you have stated - however it also has a plate between block & leaf springs that could be the other .25 inch. Any thoughts or recommendation on what block I should go with to level ? 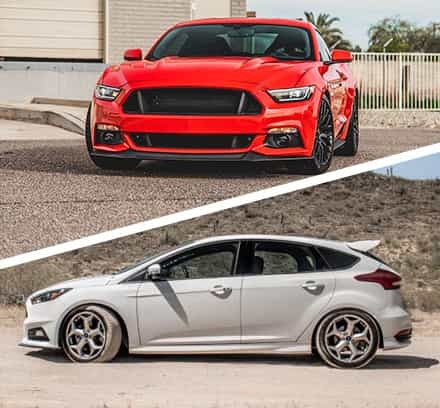 OEM rear block size varies based on submodel and model year, as well as option packages. OEM blocks could be 1.25" to 1.5". Anyway, in general, the ICON coilovers are preset at around 2.75" of lift out of the box, which results in some amount of rear rake. Which rear block option you need will just depend on how your truck's sitting and how much rake you actually want to keep. a 2" block should get you close to level, though you could do a 2.50" block to keep a hint of rake for towing or hauling. My truck is a '16 Supercrew 3.5 EB FX4. Ive added Rancho Quicklifts up front and RS9000XL's in the rear. 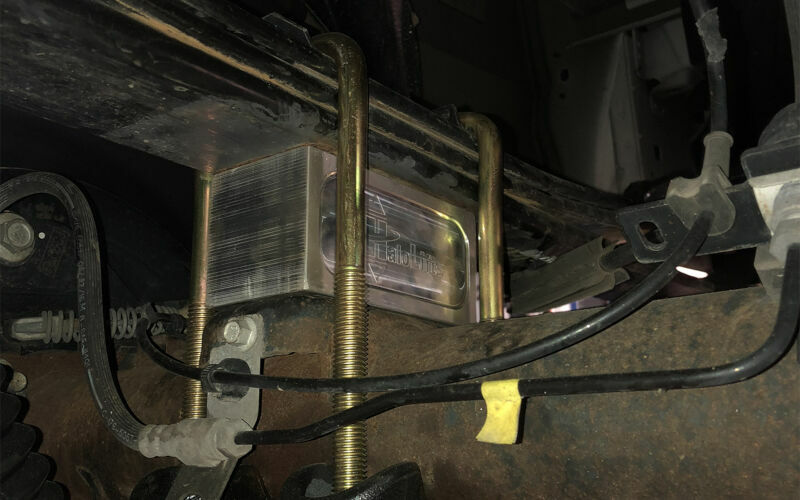 They have been on the truck for over 6mos and after setteling the truck is leveled with measurements to the top and rear wheel well of gender is 40in. I would like to raise the rear 0.25in to 0.50in to compensate while the bed is loaded or light towing. which would be my best option and will the RS9000XL shocks handle the larger blocks. What is the size of the factory blocks by the way. I was also considering Halo Lifts' 2in Boss Rear Shocks. Are the boss shocks superior to the ranchos? In general, the 2" block would probably be your best bet given your ride height goals. 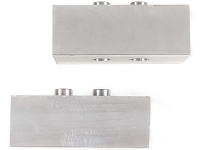 The factory blocks could either be 1.25" or 1.50", depending on the truck's submodel and package options. The RS9000XLs can handle the extra ride height without an issue. In general, the Boss 2.0 Rear Shocks perform better than the Rancho RS9000XLs, especially off-road. On-road ride and performance is only mildly improved, though the RS9000XLs do have compression adjustability, which is nice. My suggestion would be to hold onto the Rancho rears and see how they perform and behave with the taller block. Yep, they'll work. Just make sure to select the correct block that you need for the look that you want.